Home DIY Projects	Outdoor Shower! Welcome to Throw Back Thursday! 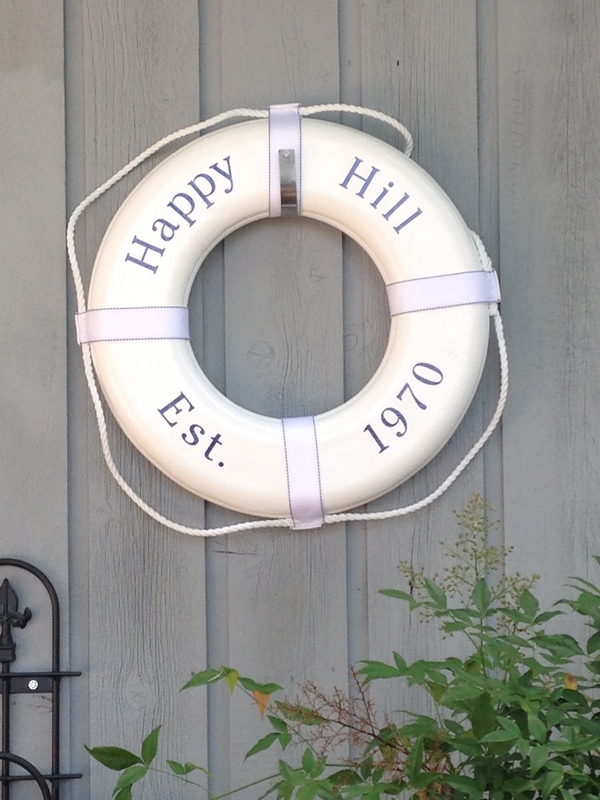 It’s been a long while since I shared this fun little project we did a few years ago at our lake house, aka Happy Hill. Come see how we turned an unused spot under the deck into an outdoor shower! A few years ago during the renovation process at Happy Hill, we decided to turn an unused space underneath the deck into an outdoor shower. This “killed a bird with two stones” as our charming daughter-in-law likes to say. First, who doesn’t love to shower outside? And second, our septic system in the house gets easily overwhelmed, so an outdoor shower is a big help when we have a crowd! See the area under the deck and stairs? It turned out to be the perfect spot! First things first, this stump had to come out. My husband, Brad and my brother, Edward dug it out by hand! It was quite the job! Because the main structure of the shower was already intact via the 8×8 posts, my husband used those and built a frame around them to form the enclosure. We added cedar panels similar to those used on the exterior of the house. My husband hooked up the shower himself and I added some fresh eucalyptus to give the shower a fresh smell. For towel hooks we used the original boat cleats from the old pier. We leveled out the floor of the shower with dirt and then pea gravel. The bricks came from a pile on the property and are as old as the house. We picked out ones that didn’t have holes and were in good shape and laid them in a herringbone pattern. I love how the floor looks original to the house. Brad built the door using simple boards, then painted them gray. The oversized vintage hardware was in my stash. I painted it black for contrast. Then, we used a real paddle as a handle. In order to have it stand out a bit from the door and be functional, my husband cut pieces of PVC pipe to use between the paddle and door. And the view from the lake…. This was such a fun and relatively inexpensive project! I love how the shower looks on the back of the house, and everyone who stays with us wants to shower out here! It’s also handy since there is hot water, we can hook up the hose to the shower and give Lacey a bath outside with warm water. Not that Lacey minds cold water….